Sunset Cottages01347 888654work Self-cateringHome baked flapjack, fresh flowers & ample private parking. Sunset Cottages are warm, comfortable & clean with lots of individual character. Owned & run by our family, in person. Wi Fi throughout. You can check availability, prices & book online here. Some options may still be available but not bookable online - Not found what you are looking for ? Please do get in touch via e mail info@sunsetcottages.co.uk with your specific dates & we will try to help. Scroll to the end of the page for late availability. 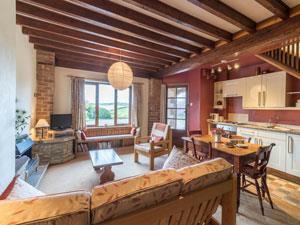 Sunset Cottages offers weekly bookings starting on Saturday and sometimes short breaks. Two Bedrooms - one double and one double with bunkbeds. Bathroom with bath, basin & toilet. 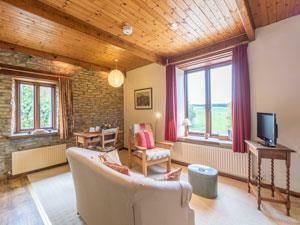 3 Phlomis offers weekly bookings starting on Saturday and short breaks of 4 days starting on any day in some seasons. Two Bedrooms - one double and one twin. Pretty Bathroom with bath, basin & toilet. 4 Honeysuckle offers weekly bookings starting on Saturday and short breaks of 3 days starting on any day in some seasons. First Floor Apartment with fine view across open countryside. Two Bedrooms - one double and one single. Pretty bathroom with thermostatic shower over bath,basin & toilet. 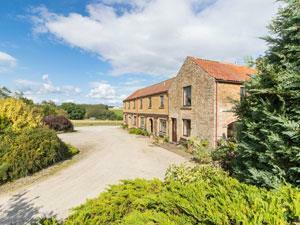 5 Harvest End offers weekly bookings starting on Saturday and sometimes short breaks.